After the record breaking success at China (Shanghai) International Boat Show (CIBS) 2018, the newly located CIBS 2019 has opened for bookings. 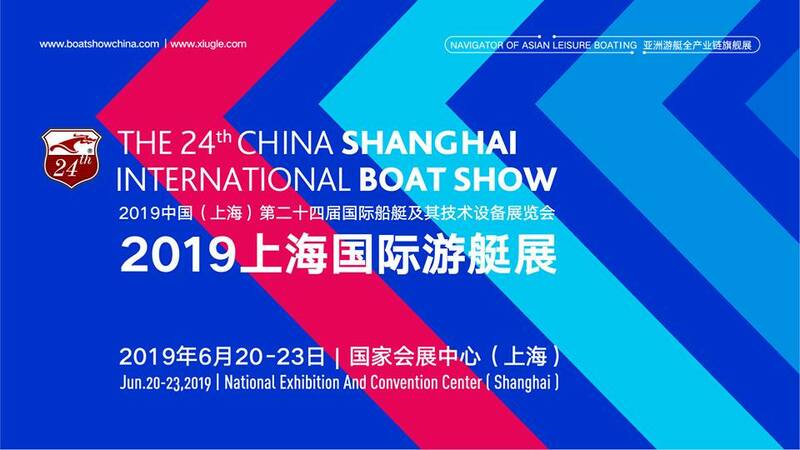 Taking advantage of the aquatic season in China, the 24th edition of the iconic boat show will take place June 20 – 23 at its new home, the National Exhibition and Convention Centre (Shanghai) (NECC) which is located near to the railway station and the international airport. “The new venue is the ideal location to accommodate more exhibitors, which will in turn lead to more professional buyers keen to seek out new products and solutions so if you are ready to do business book a stand early to avoid disappointment”,said Helena Gao, Group Director of UBM Sinoexpo. “We are also looking forward to the enhanced transport links to the venue making it very convenient and accessible to all of our visitors”. What can be expected at CIBS 2019? The NECC, offering 28,000 sqm of exceptional display area and renowned for its prime location, will accommodate more exhibitors while attracting more professional buyers. The show will benefit from generous investment from the government to enhance facilities at the NECC before it hosted the very first China International Import Export Expo, held in November 2018. The NECC is located in close proximity to the railway station, international airport, and the metroline, which is only 20 minutes away from the city center. Why visit or exhibit at CIBS2019? The China International Boat Show (CIBS), is the most comprehensive and longest running boat and yacht exhibition in China organized by UBM Sinoexpo. Last year CIBS welcomed more than 600 exhibitors. Over 20 new products were launched by big brands, including Honda, Suzuki, Beneteau, Jeanneau, and JetSet, who chose CIBS as the platform to unveil their latest innovations to 35,061 visitors from over 70 countries (a 15% increase on visitors in 2017). CIBS offers exhibitors an unrivaled opportunity for sales. More than 29% of the visitors to CIBS 2018 were looking for new suppliers, with a high proportion looking to source new products. Many of the biggest brands enjoyed huge sales success at CIBS 2018, closing deals on many high value product orders. The new location at the NECC offers exhibitors even more opportunity for sales at CIBS 2019. The success of CIBS is also due to collocated alongside other popular events including The Life Style Show 2019 (Water Sports/Lure Fishing/RV Camping/ Theme Travel) as well as CPHI & FIA. This presents the boating industry a complete offering of the leisure, recreation and luxury industries to a burgeoning middle and upper class of China. Responding to the growing trend of water sport tourism, the China National Tourism Administration and General Administration of Sport of China published documents announcing 30 national sports tourism demonstration bases and 33 National sports tourism boutique events, listing the prestigious China (Shanghai) International Boat Show as one of them. • ASIAN MARINE & BOATING AWARDS (AMBA) is a grand gathering of global elite industries and over 500 brands from more than 20 countries who join the election. This event provides a commendable platform from boat manufacturers, yacht club, sailing cities and anyone who does their best for the leisure marine industry in Asia and worldwide. Over 40,000 visitors are expected to attend the four-day CIBS 2019 event including international buyers from the USA, UK, Italy, Germany, South Korea and Australia. CIBS has become the ideal launching ground for many new entrants to the market as it provides a focused and unique environment for those wishing to test the market in China with new products and services. The event also provides an educational opportunity to both visitors and exhibitors to enhance their industry knowledge and learn about topical trends in the market from industry experts. Established international participants have confirmed their presence at the region’s most eagerly anticipated event for boating enthusiasts, which continues to inspire the industry through innovation and creativity. Over 65% of previous exhibitors will be returning to the biggest edition of CIBS to date including Mercury, Beneteau, Suzuki, Honda, Holylight, MarvelWin, Garmin plus many more internationally renowned brands who are taking advantage of the best exhibiting rates. In 2019, the event will spread out across two independent halls: one for Boat/Yacht exhibitions and one for equipment. The Boat/Yacht hall will showcase a plethora of boats and yachts showing off the very best in design and craftsmanship, while the second hall will be a showcase highlighting an extensive range of equipment supplies and services. This year’s price is the best CIBS organizers have offered, but the new location and dates mean the event will continue to be hugely popular and spaces are limited. Garmin, Honda, Suzuki, Brunger, Parsun, Torqeedo and many others have already reserved their stands in great locations. Recently, it was announced that it has almost sold out of space in the international boat equipment pavilion. Superyachts China is proud to be an official Media Partner for CIBS 2019. We will be sharing updates and news before, during and after the show to our readership in 89 countries worldwide. If you are exhibiting at CIBS 2019, our media journalist will be present for interviews and press coverage at the show, so please contact us to arrange a meeting.